WOW WOW WOW!! LOW MILEAGE!!!!! GREAT CONV!! MAKE IT YOURS TODAY!! LOADED WITH FEATURES INCLUDING, air conditioning, climate control, passenger temp control, tinted glass, am/fm stereo, cd player, bose sound system, interval wipers, power door locks, power windows, power seat memory, cruise control, keyless entry, lighted entry, remote trunk, interior button trunk, driver air bag, passenger air bag, security system, rear defroster, leather wrapped wheel, automatic transmission, front bucket seats, console, carpeting, black leather upholstery, traction control, power outlet, seats 2, front arm rests, front cup holders, quad exhaust, aux outlet, and owners manual!! 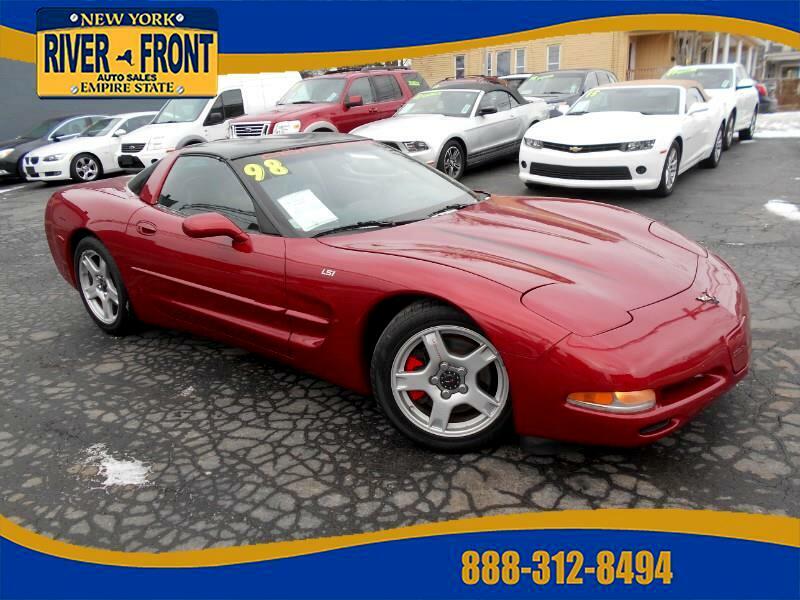 Message: Thought you might be interested in this 1998 Chevrolet Corvette.